I am truly grateful for my Mom and all that she has done for me and all that she still does for me even now that I am a grown adult. I try and show her my appreciation continuously but I love that we have a holiday that allows us to stop really honor our Mothers. How do you plan on honoring your mother this Mother’s Day (just incase you didn’t know it is THIS Sunday, May 8)? Well how about hosting a brunch for your Mother and other special “Mothers” in your life. I love brunches and they are a perfect way to celebrate a variety of special occasions. Below are some great brunch tips that I came up with for meal planning/recipe site Food on theTable. A brunch is a lovely way to celebrate many different occasions, from holiday gatherings to baby/bridal showers to a nice weekend get together with family, friends and neighbors. Brunch is served late morning or early afternoon and a typical brunch menu consists of foods from both breakfast and lunch. Since most brunch menus consist of things like pasta salad and egg dishes it really is an affordable and cost efficient way to host a celebration or meal time gathering. To avoid brunch time blues, follow these great tips and tricks for hosting a successful brunch. • The menu: Keep dishes light, affordable and easy to serve. Choosing dishes that can be served at room temperature is another thing to consider. Typical brunch menus include egg-based dishes such as quiche, frittata, or breakfast casseroles. They also incorporate traditional breakfast foods such as pastries and muffins. Lunch is represented at brunches by pasta salads, green salads, sandwiches, or fruit, veggie and cheese platters. With the abundance of pastries, muffins and fruit served at brunches dessert is optional. If you choose to serve dessert, keep things simple with cookies or bars. • The beverages: Great brunch beverages include juices, coffee, and tea as well as alcoholic beverages, such as mimosas, Bloody Mary’s, and sangria. • Serving Style: Serving the food buffet style is probably the easiest way to host a brunch. A buffet can be as simple as arranging the food on a counter in the kitchen or an extra table the dining room. • The décor: A brunch is a elegant but simple affair so keep that in mind when decorating. Fresh flowers and light colors will keep things bright and cheerful. 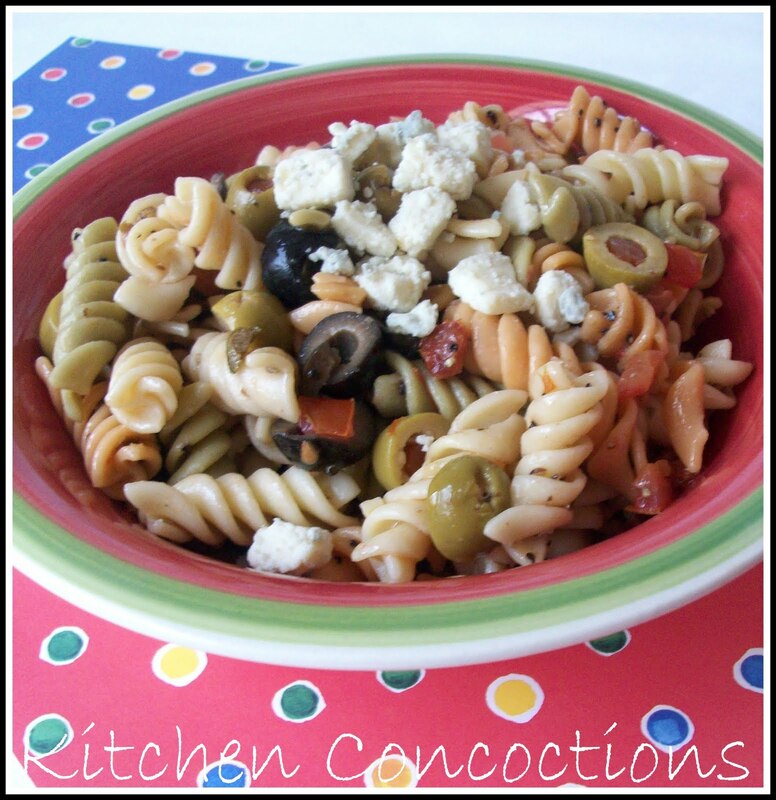 Now that you know some simple tips on how to host a wonderful brunch plan to host one this Mother’s Day and serve this simple Greek Pasta Salad. 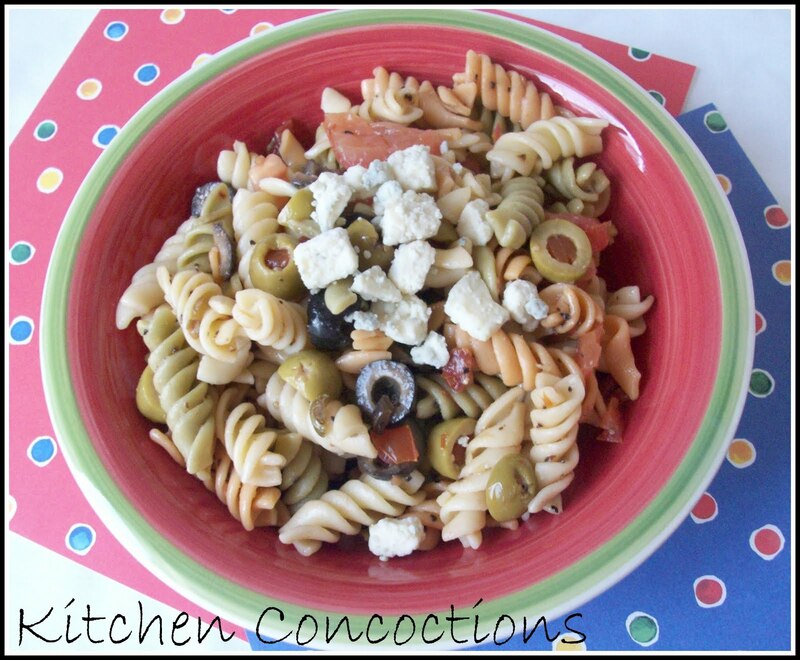 In a large bowl mix chopped capers, tomatoes and olives with salad dressing. Add prepared pasta. Toss to coat well. Chill for at least one hour. Serve topped with feta cheese. Heather thats looks so good! I am loving feta cheese right now! I hope yall enjoy your time with Mom if yall are going down there this weekend! I'm missing out on the celebrations for my mom, but I'm hoping my husband makes me dinner! 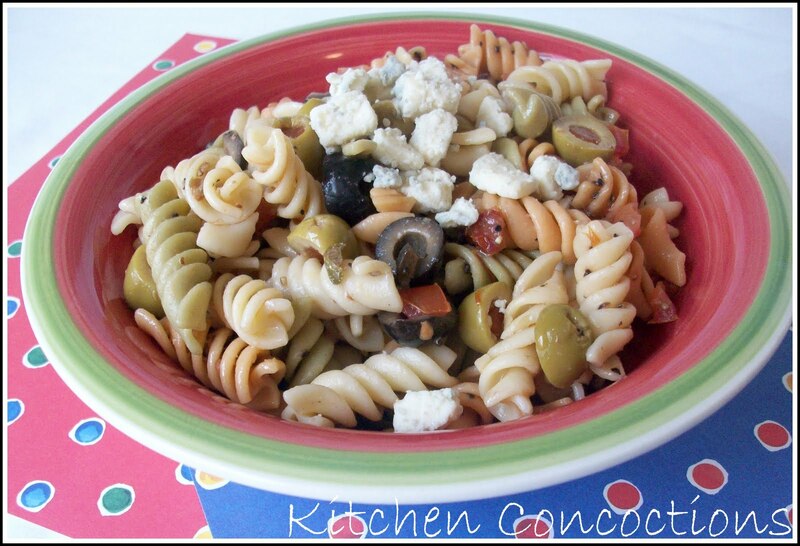 Or brunch, or breakfast… this pasta salad looks amazing!